A team of archaeologists from three universities, including scientists from the UO's Museum of Natural and Cultural History, is headed back to Fort Rock Cave, where in 1938 the UO's Luther Cressman found the world's oldest shoes. The goal, says Tom Connolly, project leader and director of the museum's archaeological research program, is to explore the cave with modern techniques that might provide detailed new information about very old artifacts. The excavation will focus on the chronology and dating of the site deposits, and the collection of new samples for analysis. The site is located in a small volcanic butte about one-half mile west of the Fort Rock volcanic crater in northern Lake County. The cave site is on lands managed by the Oregon Parks and Recreation Department. The team, which could number a dozen at times, will be at the site from Aug. 31 to Sept. 4. “As important as the site is to the human story of North America, the archaeological work there was done more than half a century ago," Connolly said. "We still have important questions about the site that might be answered with recovery methods and analytical techniques that were not available to Cressman and his students." Cressman, who is considered the "Father of Oregon Archaeology," was at the UO from 1929 until his retirement in 1963. Under buried volcanic ash from the 7,600-year-old eruption of Mt. Mazama, which created Crater Lake, Cressman's team unearthed some 100 sagebrush sandals. 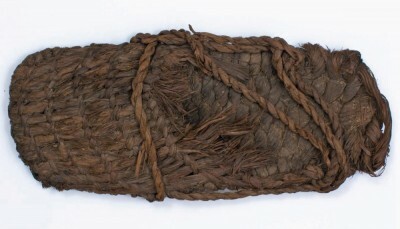 Radiocarbon dating later found the sandals were some 10,000 years old. In 1966, Cressman returned to the site with graduate student Stephen Bedwell who uncovered a hearth in Pleistocene (Ice Age) gravels. Charcoal from the fire pit was radiocarbon dated to about 15,800 years before present, which makes it possibly the oldest hearth in Oregon. 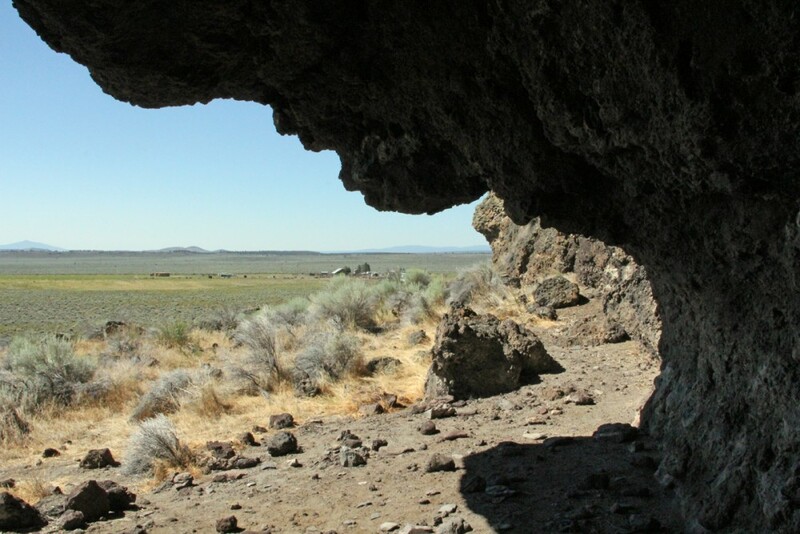 Applying modern technologies previously has led to confirmational dating of artifacts at Oregon's Paisley Caves, where Cressman also had discovered evidence of human habitation that he suspected dated to well over 10,000 years ago. When he died in 1994, his dating estimate had not been proven. That proof came after UO archaeologist Dennis Jenkins returned to Paisley Caves in 2002 as part of the museum's archaeological field school. In separate papers published in the journal Science in 2009 and 2012, Jenkins and team reported that they had successfully dated newly found artifacts, including dried human feces analyzed by leading international DNA experts, at 13,200 years old. Among the new artifacts were western-stem projectiles thought to be hunting tools of a pre-Clovis or a separate concurrent human culture. The team going to Fort Rock Cave includes scientists from the UO, the University of Nevada-Reno and Utah State University. Graduate students from Nevada-Reno and Oregon State University also will participate in the project. The Oregon Parks and Recreation Department will provide limited public access to the site in partnership with UO. If interested in visiting Fort Rock Cave during the excavation, contact OPRD staff at 541-923-7551, Extension 21, to make arrangements. Fort Rock Cave became part of the OPRD system in 2000 and is accessible only by guided tour.